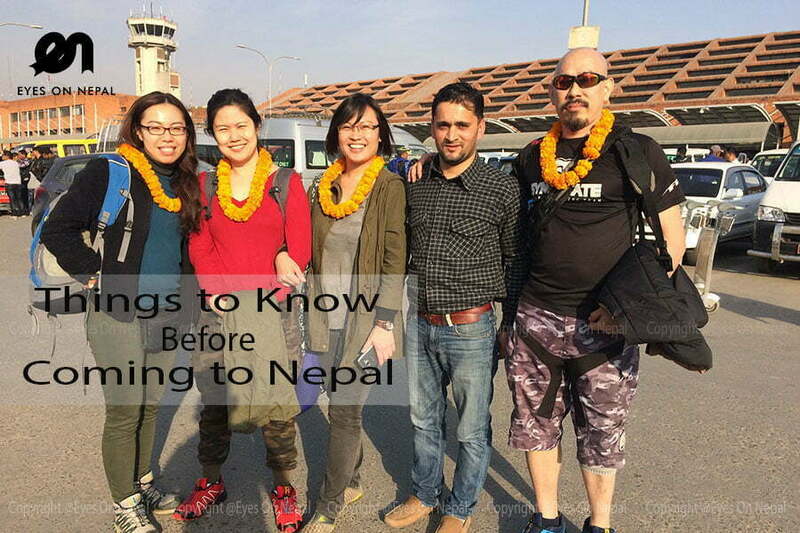 Travel to Nepal is often considered as “the road less traveled” and tourists need to make preparations before your departure. Whether your journey is for trekking, sightseeing, religious pilgrimage or business, you will need a visa for entry. It is helpful if you arrive with an awareness of cultural practices so that you avoid offending the people, and have a vague idea of an itinerary for your journey. The Nepalese people are kind, gentle and helpful with beautiful souls. They assist each other and are accommodating to many of the bewildered tourists that pass through. For the English speaking tourists you will be pleased to know that most Nepalese speak English. Be flexible in your environment and walk the streets, for navigating in Nepal is an adventure. Take a bus ride into the countryside and see the scenic beauty of Nepal; and most of all be prepared for the unexpected that will delight and provide memories of this enchanting country. Nepal may be “the road less traveled” however the tourist will not be disappointed in the wonders and beauty of the people and the land. The following are guides to assist in your preparations for your trip of a lifetime. According to Hindu myth, the history of Nepalese culture and civilization can be traced back to the age of King Manu, who is believed to be the first king of the world, who ruled Nepal during Satyayug. Satyayug is known as the age of truth. At that time, Nepal was known as the land of truth. Read more. Tribhuban International Airport, Kathmandu or Border entry points in Kakadvitta, Birgunj, Bhairahawa, Nepalgunj, and Kodari. A Visa can be obtained at the nearest Nepal embassy or Nepal’s Diplomatic Mission. You can get visa renewal at the department of Immigration, Kalikasthan, Kathmandu. Read more. No kissing, hugging or displays of affections in any public area. Please do not smoke when you are entering the temples or religious sites. Read more. Local languages give you added excitementduring your visit to Nepal. Learning a few words and local dialogue will helpyou communicate with the locals and help you understand their languages and lifestyles. As travellers/tourists, you will find the locals are the mostinformative people when traveling around in Nepal. Read more. A TIMS permit is needed for all trekking areas in Nepal. TIMS can be issued at the Nepal Tourism Board office at Kathmandu or the TAAN offices in Kathmandu and Pokhara. Registered trekking agencies can issue TIMS permits for their clients. A permit ticket is required to enter the Conservation Area Project, national parks, areas requiring special permission, wildlife reserve areas, and hunting areas. Conservation and national park entry permits are available at the Nepal Tourism Board office in Bhrikutimandap, Kathmandu and at the entrance gate of the park. Read more. Nepal has the largest number of holidays in a single year calendar. Dashain in September-October, Tihar in October-November, New Year in January, MahaShivaratri in March, Holi festival in March-April, Nepalese New Year in April and Buddha Jayanti in May are the main festivals of Nepal. Read more. Nepal is paradise for the shopaholic. Unique, handmade products are always the best kind of souvenir for your family and friends. 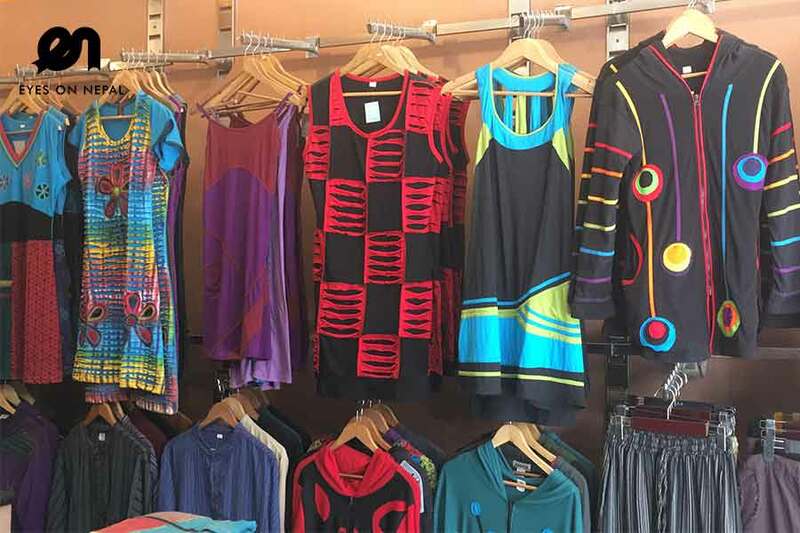 Shopping can be very rewarding and exciting in Kathmandu. There are plenty of street vendors that sell interesting gifts, as well as large commercial areas with malls. Nepal has some particularly popular areas for shopping in its major cities. Read more. It is considered illegal in Nepal to export things over 100 years old that have religious and cultural value (paintings, manuscripts, sacred images, etc). They are considered antiques and a part of Nepal’s cultural heritage. If a tourist wants to buy such an item, we suggest getting a certificate from the Department of Archaeology at Ramshapath, Kathmandu for all metal statues, sacred paintings, and other items before carrying out of Nepal. Handicraft dealers and cargo agents are also able to assist in this process. Nepalese currency is called the Rupee. There are 1, 2, 5, 10, 20, 25, 50,100, 500 and 1000 denominations, and 1 and 2 rupee coins are in use in Nepal. It is hard to read the coin but you can easily read and recognize the paper currency because numbers are written in English on one side. Read more. Most of the travellers say that Kathmandu and Pokhara have the best dining facilities in South Asia. Tourist can easily find restaurants serving Nepalese, Chinese, Japanese, Continental, French, Mexican, Italian, Korean, Thai and Middle Eastern foods. Momos are one of the famous food staples in Nepal. It is definitely a must-try food while you are in Nepal. Saturday is the official weekly holiday in Nepal. Most of the shops and all government offices are closed on Saturdays. Museums throughout the Kathmandu Valley are closed on Tuesday and after government holidays. Electricity is found in all the popular cities, town and famous trekking areas. Since power production does not always meet the demand, you may face longer hours of power cuts in Nepal. Please ask for the power cut schedule from your hotel as it will help you to plan around these outages. Electrical outlets in Nepal are 220 volts and you will need to have an international plug or an adaptor. The most common illness that travelers suffer from is acute episodes of diarrhea, often lasting for a few days. Other symptoms may also include nausea, vomiting, light-headedness, and lethargy. There are many reasons diarrhea can occur while travelling. Most acute diarrheal diseases cannot be treated with antibiotics, so we suggest staying hydrated with lots of water as your major goal during recovery. We recommend bringing oral rehydration salts, anti-diarrheal medications, and hand sanitizer when you travel. If you have episodes of diarrhea lasting more than 3 days, you should visit one of the international clinics in Nepal. Mosquitoes are commonly found throughout Nepal, so there is a risk of malaria. Please consult with your doctor before travelling whether you will need to take malaria medicine. We recommend bringing bring spray (with DEET) and a mosquito net. 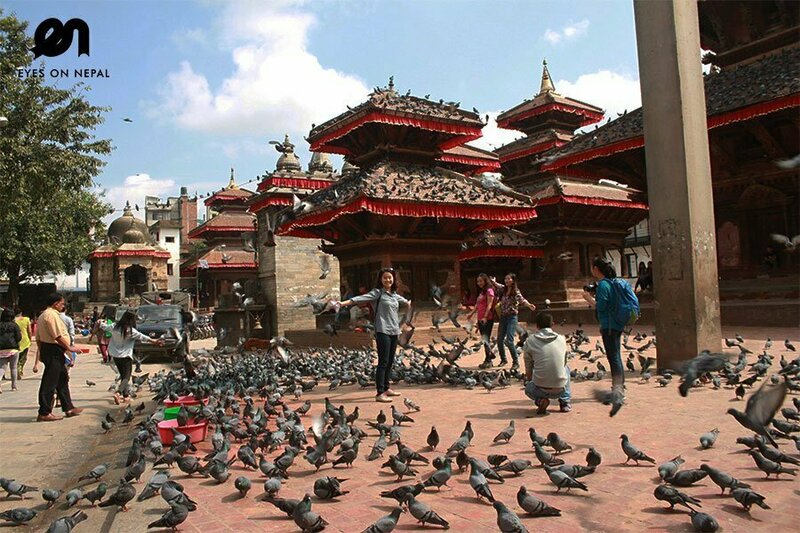 Some travelers have complaints of allergies due to the pollution in Kathmandu, which may include difficulty breathing. If you are experiencing this, please visit an international clinic or pharmacist (chemist). A well plan trip is relaxing and hassle-free, and it will leave you with a lifetime of memories. Some trips are scrimped and saved for, and others can be spontaneous and exciting. All trips are meant for adventure, relaxation and enjoyment. By planning well, you can ensure you that you and your family can enjoy a hassle-free trip! Below are some of the must-not-miss activities in Nepal. • Trekking in the mountains. • City tour around the Kathmandu and Pokhara valley. • Adventures activities like Paragliding, Bungee jumping, rafting, canyonning and rock climbing. • Momo and Nepali traditional meal. • Celebrating various events and festivals with the locals. • Riding the public bus in countryside area. • Visiting National Park and conservation area. We have been planning trips and tours for our valuable guestsfor over 15 years. We are sure that our many well-planned tour options will bring lots of happiness, fun and joyto your life. Yoga is not a religion. It is a Universal concept that brings things scattered together. Yoga has been traditionally practiced for thousands of years in the Himalaya regions. Yoga literally means: union, connections or oneness. Read more. Volunteering in Nepal is challenging, but it has lots of personal rewards to it. It is the perfect way to know about life, both your own and others. It will help you to know who ‘I’ am and help you answer questions like what is my duty, my responsibilities etc. Volunteers have the opportunity to participate in a variety of educational and community aid programs. Read more. Travel insurance is a good investment to make during your stay in Nepal and will protect you from unexpected expenses. Travel Insurance will help you stay calm and clear-headed against the unexpected medical/accidental expenses that might occur during your stay in Nepal. Travelling without travel insurance, in frank terms, could ruin your trip. For example: A helicopter rescue trip from mountains will cost you around USD3000 or more. If you have purchased your travel insurance, the expense will be covered. Why do you need to buy the Travel Insurance? 8. A terrorist incident occurs in the city where you’re planning to visit and you want to cancel your trip.9. A natural disaster forces you to evacuate your resort, hotel or trip. 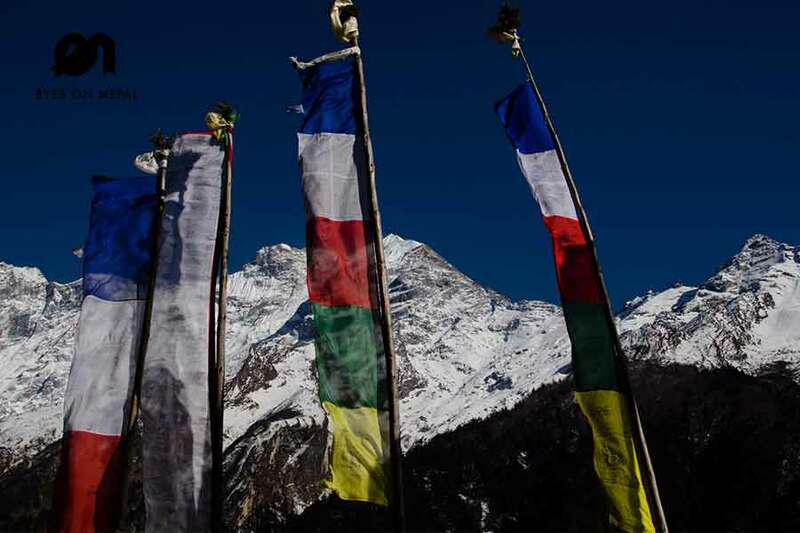 Eyes On Nepal strongly suggest travellers to buy Travel Insurance before travelling to Nepal. We do not create or operate tours for tourists who cannot show us their Travel Insurance. Nepal is a country at the top of an outdoor lover’s bucket list. It offers the most spectacular destinations for trekking and day hiking. It is the only country in the world that offers such a large variety of trekking routes, and each trekking area has a unique collection of mountains, lakes, cultural diversity, and wildlife. The many trekking routes of Nepal include. Read more.